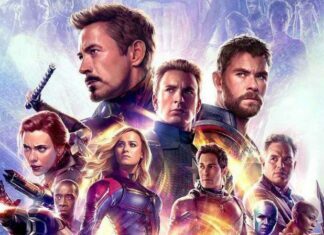 Marvel Cinematic Universe or better known as MCU successfully built up their strongest superheroes ever from Iron Man to Avengers: Infinity War. If we are going to connect them with Marvel comics, most of the Avengers are entirely different than their comic counterpart. Some of them are the most powerful and stronger one, and few of them didn’t get the chance to shows off in the movies. Latest Avengers: Infinity War assembled all the known superheroes from every corner of MCU and brought them to face against Mad Titan, Thanos who sought to wipe out half the universe by collecting all the infinity stones. In the same film, nearly all the heroes show off their skills during their fight against Black Order and Outriders (except Hulk). But the question arises who was the man of the match in the battle of Wakanda. It’s evident that Chris Hemsworth’s Thor character has improved since Ragnarok and he proves himself the strongest avengers yet. 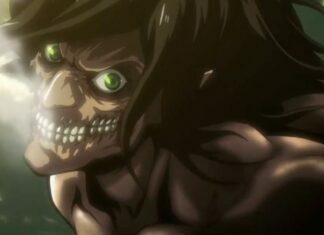 Despite him, there are other heroes also who broke their limits and went toe-to-toe with villains. 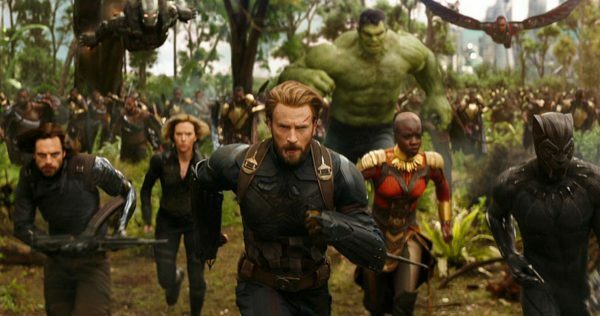 In this list, you will find 25 most strong superhero character from the MCU world ranking from weakest to most reliable regarding powers and abilities. Here are 25 Most Powerful and Strongest MCU superheroes which you must know. When it comes down to take on Celestial Ego and Thanos using Sleep Inducement, Mantis is the best MCU character. Raised by Ego as shown in Guardians of the Galaxy vol. 2, Mantis has been granted several powers, i.e., Empathy and Empathy Manipulation. Meaning she can read others minds and also can make a person happy by making them feel joy. Using these powers, she could be better superheroine if she successfully forces her enemies to sleep with the help of her cool technique. 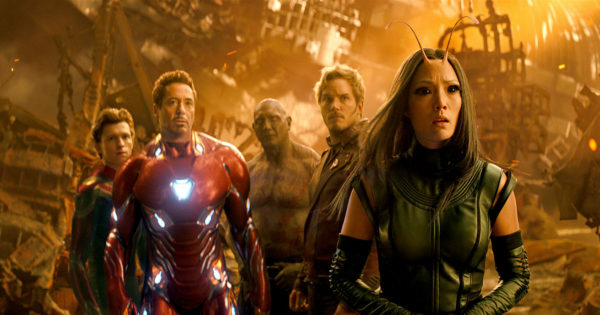 But even though having these unique skills, Mantis is the weakest MCU character shown yet. Hence, she placed at the bottom of the list. Who could make explosive weapons out of nothing? 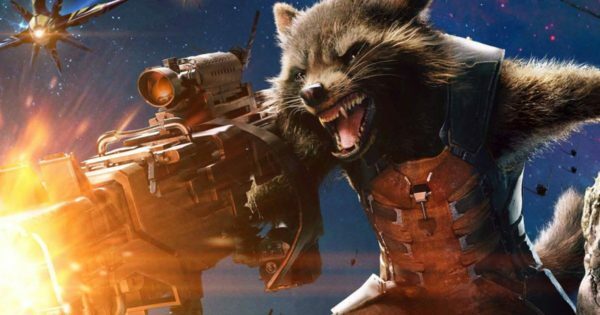 We are blessed to have such capable MCU character, and his name is Rocket Raccoon. Belonging to Halfworlder race, Rocket genetically enhanced and known to be the smartest person in the MCU world. By strength, he is not a convincing character, but when it comes to offensive, no one could stop him. If you remember, in GOTG vol. 1, when Gamora attempting to steal Orb from Star-Lord, Rocket interrupts and quickly tackle Gamora on the ground. As a founding member of Guardians of the Galaxy along with his partner Groot, Rocket continues to work with Star-Lord, Gamora, and Drax. Granted with enhanced intellect and senses, even though doesn’t look strongest one due to his short height, he can be a useful ally when it comes down to defeat Outriders. Having such a splendid ability to handle many weapons, Rocket has faster reflexes, sharp brain and ability to make excellent strategies; hence he is an efficient partner to have. 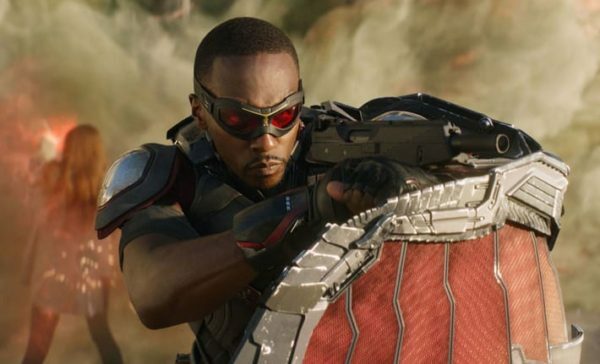 Sidekick of Steve Rogers and might be next Captain America, Samuel Wilson aka Falcon is MCU one of the active members of the Avengers. Even though Cinematic Universe didn’t exhibit any of his abilities like his comic counterpart, Falcon’s jet-pack wings are his best. Besides his only skill, in the Marvel comics, Sam has powers like Avian Telepathy. Meaning he could see through birds’ eyes and able to control them. On the other hand, in MCU, Sam has been an only valuable player even if he is without his Falcon suit. Without his armor, we knew how he efficient fought with Brock Rumlow and defeated him. Additionally, thanks to Steve Rogers’ training and as a former the United States Air Force pararescue airman, Sam could go hand to hand combat without any difficulties. In the pages of Marvel comics, Drax reborn as Thanos’ killer after his family gets killed by Thanos’ hand. But in MCU, his backstory is far different. In the film, his family slaughter by Ronan the Accuser. Hence ever since, he sought to kill him and ultimately joined the Guardians’ team. Unlike earthlings, he has superhuman strength and durability. Although he is no match even for Ronan, Drax is expert in hand to hand combat as well as possess mastery in knives. His iconic weapon is dual knives that he can use it proficiently against his enemies. 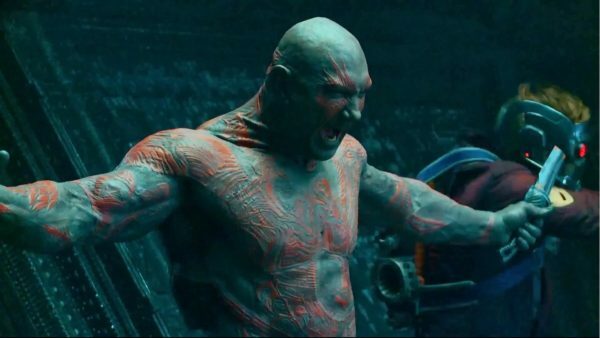 Regarding overall power and strength, Drax comes in the weakest superhero categories. 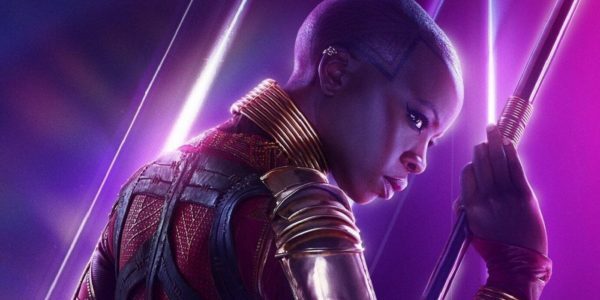 Head of Dora Milage and female bodyguard to Black Panther, Okoye was the sole survivor of Thanos’ snap finger. Okoye is much more like her King T’Chall regarding abilities and skills. She possesses mastery in spear and skilled in martial artist. Notably, she is a highly efficient MCU heroine who can go against toe-to-toe with Outriders as well as Black Order’s Proxima Midnight. According to the film Black Panther, we can see that how Okoye was very proficient in using her iconic spear to defeat multiple foes at once. So in MCU, she is one of the most magnificent martial artist and powerful character after T’Challa. 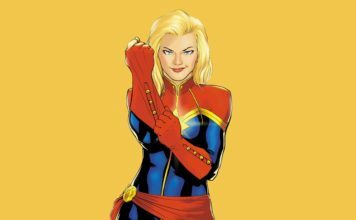 As a future variant of MCU would fill with more than half of female avengers. Therefore, Okoye’s addition to the list would not go to wastage. Living weapon of MCU world plus one of the most influential female character, Nebula is an adopted daughter of Thanos. Over a period, Nebula changed her alliance from Ronan to Guardians team to kill Thanos. Finally, in the Avengers: Infinity War, she seems to be approaching her goal slowely when she went against her father on Titan planet. Even though Nebula survived Thanos’ finger snap, now she filled up with full of hatred towards Thanos more than ever. As biologically engineered, Nebula’s body has superhuman strength, durability, agility much more like a human android robot. In short, she is Marvel’s Cyborg. Her bionic enhancements also allow her to heal her damaged body. As I mentioned earlier, Nebula is a living weapon trained explicitly for killing Thanos’ enemies. She is mastered in hand to hand combat as we see how she was fighting Thanos one-on-one. 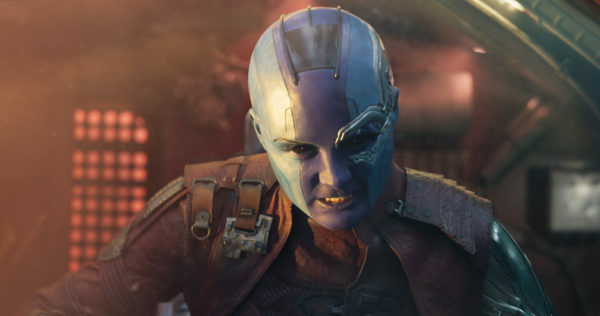 If Kevin Feige’s future expectation about female superhero team is correct, then Nebula might be an excellent addition to MCU most powerful superheroes ever. Having intentions of killing Thanos, Gamora much more like Nebula, but always have good sight what she is doing. But unlike her sister, Nebula has more hatred towards her father. Now being calling as Guardian, Gamora has been killed off by Thanos to get Soul Stone in exchange of her life. Thanos bring her from planet Zen-Whoberi where inhabitant naturally possesses superhuman strength far from Earthling. 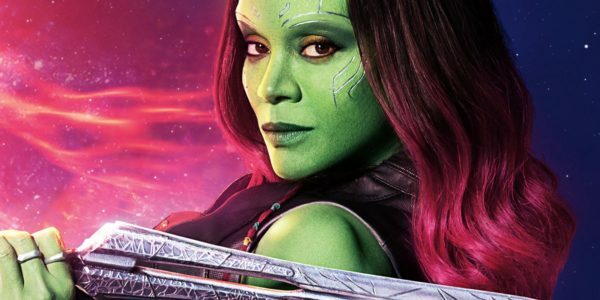 Trained under Thanos’ realm and having years of battle experience, Gamora is an unbeatable assassin in the MCU who is perfect female Avenger for the future. Gamora’s skill noted to be superior to the Thanos, Mad Titan himself recognized her as his most exceptional children as well as the fiercest woman in the whole Galaxy. Hence, in conclusion, after Black Widow we can’t help but praise her as MCU’s second best female stronger superheroine. Best friend and sidekick of Tony Stark, James Rhodes aka War Machine has been helping Iron Man since the MCU’s first film. Besides man under the iron suit, he is a jet pilot and military officer in the U.S. Air Force. Rhodey has no superhuman powers, but when it comes to helping Tony, he can’t help but suit up as War Machine. Rhodey is one of the Avengers who fearlessly stood up against Outriders in the infinity war. His character is quite favorite since his counterpart debuted in the Marvel comics. War machine suit includes tons of explosives and missiles that projects from his armor. There is a rocket launcher mounted on his left shoulder as well as machine guns which mounted on his gauntlet. Overall War Machine is nothing but a danger call for enemies if the hero starts firing at them. Over the year, he had been seen taking the mantle of his best comrade Tony and became Iron Man. Regarding power level, War Machin is a deadly killing machine because it is the only known most powerful suit next to Iron Man. 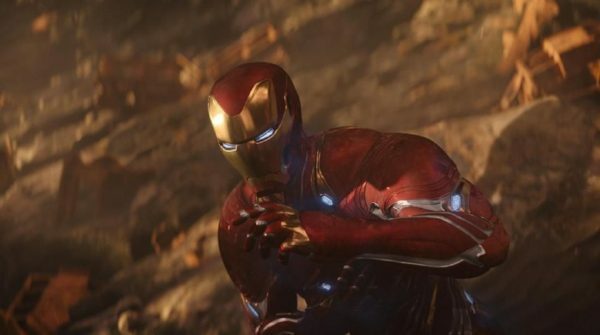 Over a decade, Tony has made some significant changes, but the latest one ‘War Machine Armor: Mark IV’ wiped out because of Thanos’ finger snap. 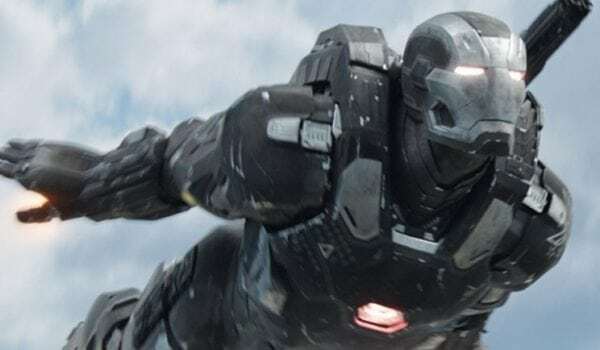 As Robert Downey Jr. probably taking leave from the MCU after Avengers: Endgame, War Machine could replace him in the future MCU films. Peter Quill aka Star-Lord is the last son of Celestial Ego as well as half human & half hybrid MCU character. In GOTG vol. 2, when he unlocked his real potential, at that time, he was so strong that he went toe-to-toe against his most powerful father, Ego. Belonging to such a supreme race, Peter received essential superhuman skills and abilities. 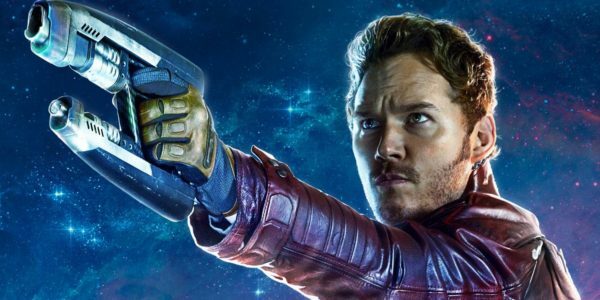 Having such incredible powers and battling against his father, the question is why Star-Lord lacks in powers in Infinity War where he could beat alone Thanos himself? According to Ego, Star-lord will possess this powers as long as Ego is alive. Even after Ego killed off in the movie; Peter Quill has quite superhuman strength. Besides this, from what we have seen in the Avengers 3, he is mastered in combatant as well as an expert in tactician. Now Star-Lord’s upper limits kept under secret but I am sure his upcoming GOTG vol. three will explore more of his powers and abilities. 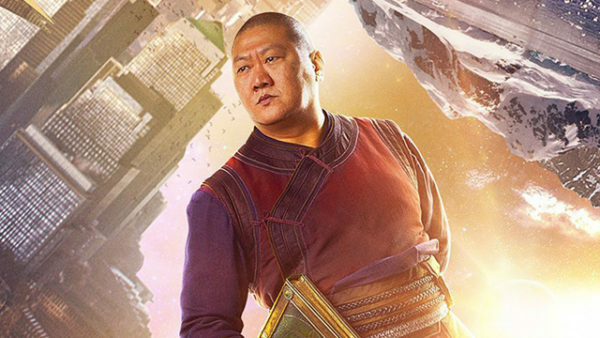 Although Wong is not a superhuman character of MCU, he is a master of Mystic Arts. He has lots of experience in this field which is far higher than Doctor Strange’s one. Wong is the most potent and stronger sorcerer who has many skills and magic abilities because of his superior knowledge of mystic arts. He can manipulate dimensional energies which can use as dangerous weapons. Besides this, Wong is an exceptional hand to hand warrior and has mastery in Martial arts. Also when Thanos’ Black Order invaded New York city, he shows off his skill significantly by defending Doctor Strange. 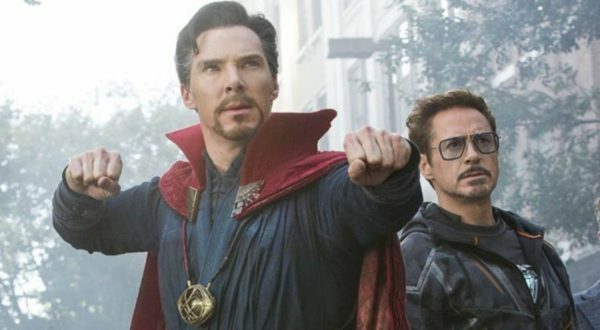 Hence, by combining all of his techniques, Wong is set to play an even more vital role in the Doctor Strange sequel. Known by White Wolf by Wakandan people, T’Challa kept Bucky Barnes in cryo-sleep stasis to removed his Winter Soldier persona. Hence taking a new identity as White Wolf, Buck joined the fight along with the Black Panther and his army. Bearing new cybernetic arm designed by Shuri, Bucky bravely fights against Outriders in Wakanda nation. In the MCU, unlike Steve Rogers, Bucky received the other variation of Super Soldier Serum which enhanced his skills and abilities to maximum peak point. Using his bionic arm, back then Winter Soldier completed many missions assigned by HYDRA without fail. Like the first Avenger, Bucky is an exceptional martial artist and at the same level as that of Captain America. He is capable of handling dozens of enemies alone or even can overpower the world’s best assassins likes of Black Widow. 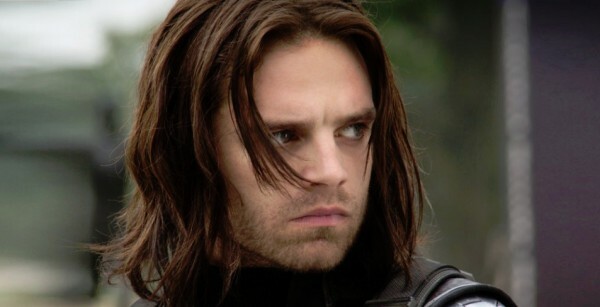 As Chris Evans seems to be quitting MCU after Avengers: Endgame, Sebastian Stan would be perfect Captain America for the future MCU movies. Black Panther made his first debut in the Captain America: Civil War where Winter Soldier killed off his father, T’Chaka. Since then taking as a pledge to fulfill his duty as king, Black Panther becomes the next successor of Wakanda nation. After becoming king, T’Challa needs to consume Heart-Shaped Herb as a ritual which heightened his physical elements to peak level. Before suiting up as Black Panther, T’Chall trained vigorously to become stronger and most powerful warrior to protect his county. Designed by his sister Shuri, Black Panther suit is nearly indestructible which is made up of vibranium. It can absorb all type of damages. Not only that, It can even emit back the same impact outwards. Hence TChalla always uses this feature to defeat multiple enemies at once. 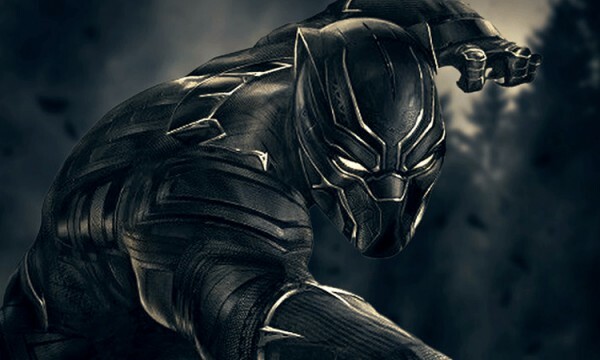 Wearing vibranium suit which is a sole resource of Wakanda, T’Chall as Black Panther has taken many elements from the actual Black Panther animal regarding superhuman speed, agile movements, reflexes, and strength. Hence, like MCU’s strongest founding Avengers, Black Panther would be the best part of a superhero club in the next few years. In the world of almighty gods, aliens, and magic, even as a human being, Natasha Romanoff aka Black Widow earn a spot place in the MCU. As you know, she is the greatest spy and assassin yet in the world and one of the most significant agents of SHIELD. 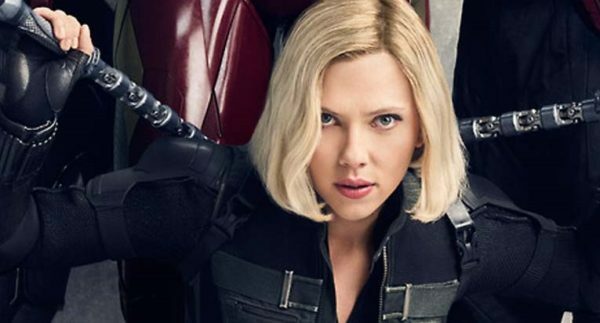 Like her hair, Black Widow’s fighting scenes are impressive and unprecedented in every MCU film as she is the skilled fighter in the entire MCU world. In her prime days, Natasha had been trained and eventually mastered karate, judo, aikido, savate, boxing, wrestling and multiple styles of Kung fu. Thanks to these abilities, Black Widow defeats numerous Outriders and villains from Black Order. Black Widow may not be the potent heroin regarding powers and strength, but her fighting abilities and martial arts skills could outdated the likes of Captain America and Black Panther. 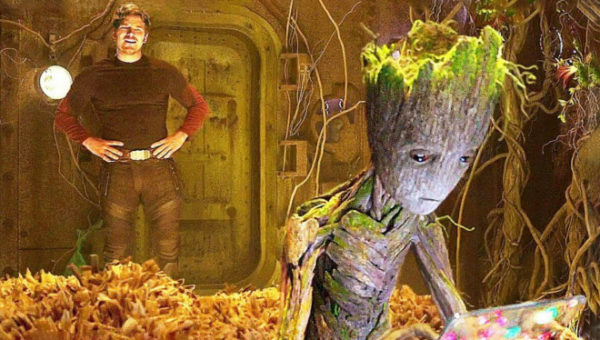 Most adorable MCU superhero, Teenage Groot is a reincarnation of adult Groot who sacrifices himself while battling against Ronan the Accuser. Even in Teenage form, Groot has all superhero attributes that need to defeat multiple enemies alone. Having such brutal strength, Groot can fight effectively by single-handed. He has an extraordinary ability to extend his tree body which can be used to grab a bunch of enemies quickly. A living tree also can manipulate his body. 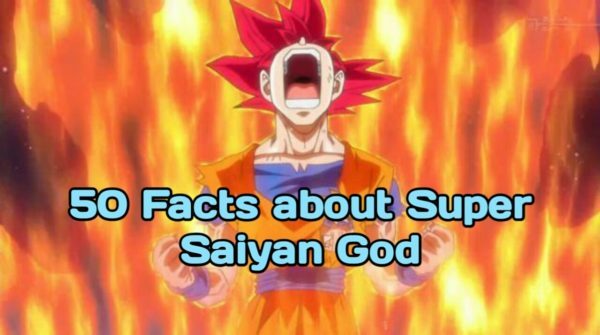 Meaning, he can change his physical form in a various shape to defend himself as well as to create woody but stronger weapons. So, in ranking, Groot is the stronger and favorite MCU character ever. Youngest and famous Marvel superhero finally land into MCU movies. 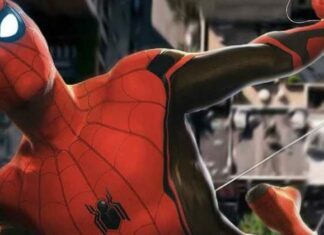 Web-slinger swigs into Avengers team from Captain America: Civil War and still was the valuable addition to the team in the Infinity War before a snap. Even as a teenage Spider-Man, Peter owns all the peak superhuman strength, durability, agility, and enhanced spider senses which comes in handy to battle against his enemies. In the pages of Marvel comic, he had been seen defeating Thanos alone as at that time he was the strongest Marvel character. Like Sam Raimi’s Spider-Man, this Peter Parker also possesses impressive strength. In the Homecoming, although he was untrained and having raw power, Peter manages to hold off 30 tons of jet bridge from breakage. Having such a considerable amount of potential, he lifted concrete roof that Vulture dropped on him. Sadly enough to be affected from Thanos’ snap, Spider-Man will resurrect from the dead to defeat Mad Titan who killed off half the universe using Infinity Gauntlet. MCU world’s first superhero, as well as fan-favorite character, Steve Rogers aka Captain America, was a founding member of the Avengers. However, doesn’t want to go with Sokovia Accords, Steve abandoned the name of superhero and not only that, but he also did leave the Avengers. Bombarded with Super Soldier serum, Steve Rogers’s physical human body intensified to peak point. It includes superhuman strength, stamina, intelligence, tactician, speed, reflexes, regenerative healing ability, and senses. His enormous superhuman strength permits him to go against multiple enemies at once. In the Captain America: The Winter Soldier, Steves has seen stopping helicopter driven by Bucky. Having vast battle experience since he was the leading player during Wolrd War II, Captain America can surpass the likes of Black Panther, Winter Soldier even both wearing vibranium suit and a bionic arm. In the Captain: Civil War, to save his friend Bucky, Steve Rogers shows off his true potential when he surpasses his limits and defeats Tony Stark in the latest Mark XLVII Armor. Since then both heroes never talk and meets each other. But Soldier promised him that whenever there is a need for him, he always ready to help. Steve Rogers’s ‘I can do this all day’ attitude not just makes him a classic superhero but also gives people hope that one day he can definitely bring justice to people and always ready to save the world no matter what. Vision made up of a significant mixture of most robust vibranium material and Helen Cho’s organic tissue. If this is not enough, he awakened by cosmic powers of mind stone. Ultron eagerly wanted to transfer his conscious under the newly created perfect body but failed to achieve it. 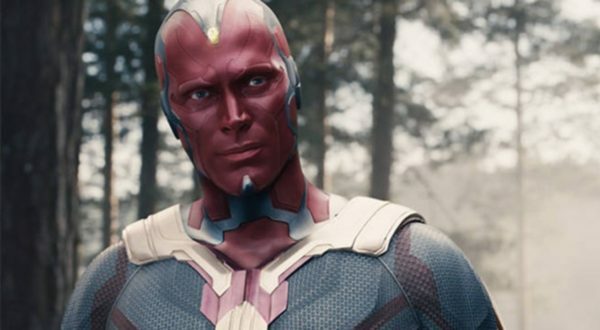 Although he is a robot, unlike Tony’s Iron suits, Vision possess a tremendous amount of brutal strength. He can even change his body density to a maximum level so that its impact can force Giant-Man to fall on the surface. Also known by Superbot, he also granted the ability to phase any objects. As Vision not used to obtain full potential of infinity stone, still, he can project raw but deadly energy blast out of infinity gem. Having J.A.R.V.I.S uploaded on his mind, he possesses advanced intellects. Besides maintaining the many superhuman abilities, Vision is a quit combatant. And all credit goes to mind stone. Additionally, Vision is the first worthy superhero who can lift Thor’s Mjolnir without any effort. Nevertheless, Marvel Studio has to show off his true potential yet, but we can at least hope he would get resurrected in the next Avengers: Endgame and explore his storyline without holding mind stone. Hottest but strongest MCU superheroine Wanda Maximoff aka Scarlet Witch grew with the hatred for Tony Stark but ultimately as her story proceeds, she joined Avengers and prove her valuable addition to the team. In the cinematic universe, Wanda possessed numerous amazing powers which include psionics powers, Telepathy abilities, telekinesis, Reality Alteration. Like her boyfriend (Vision), she can project cosmic energy blast. Not only that, she can even control objects as her wish. 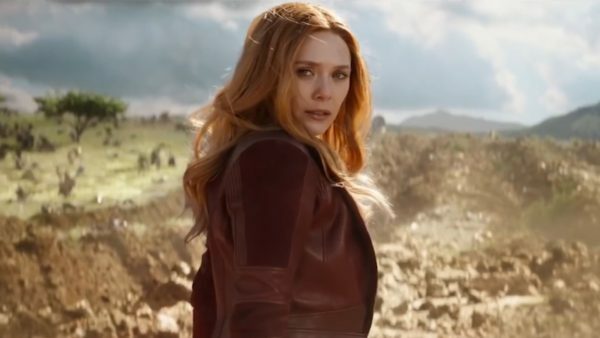 Avengers: Infinity War uses Wanda’s character to full extent. She was the crucial player to defeat Outriders army. When it comes to stopping Thanos from getting mind stone, she unleashed her unlimited psionics powers and successfully destroyed the mind stone. After superheroes team who fought Thanos on the Titan planet, Scarlet Wich was the only character who managed to hold off against the Thanos who was using Infinity Gauntlet. Hence, for the future female Avengers plan, she unmistakably would be excellent addition. Heimdall was a Gatekeeper and the protector of Asgardian as well as former guard of the Bifrost Bridge. As he was appointed by Odin himself to serve the people of Asgardians from the threat, then you can only imagine what kind of superpowers he would possess. Heimdall has the powers to hear and see everything in the Nine Realms. Having godly strength, durability, speed, stamina, Heimdall had Omni-senses. It was the only reason why Odin kept him to Guard Asgard. Omni Senses is nothing but having the tremendous sensory capability which was far beyond that of the any of the Asgardians. Meaning he had sharp ears, precise hearing ability that helps him to hear from every corner of Nine Realms. Besides this ability and superpower, Heimdall was a skilled swordsmanship. As a Gatekeeper, he had his sword. Usually, it was used to only open Bifrost Bridge, but when it comes to defeating enemies, it can be used it as a weapon. Once he used it two blows two Frost Giants even he was in a weakened state. As an extra bonus, he had dark magic powers which help him teleport people to other location. In the Avengers: Infinity War, it was Heimdall who teleport Hulk back to Earth to warn Avengers about Thanos’ threat. 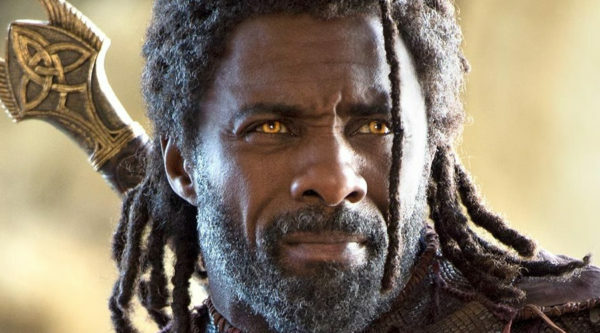 Sadly enough Heimdall won’t be resurrected this time as he didn’t kill off by Infinity Stone. Ultimately he was a great character as well as a trustworthy keeper that every King must have. Loki was an adopted son of all father Odin and son of evil King Laufey. Over a period, Loki consistently betrayed his brother and his king only to get the Throne of Asgard. 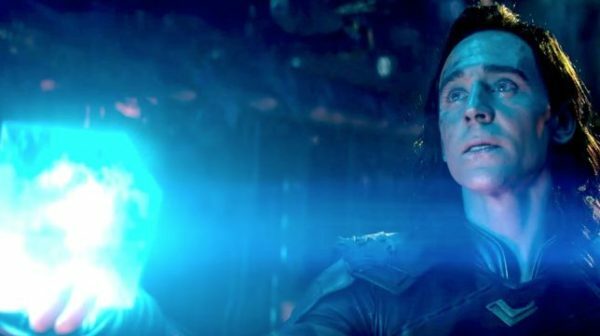 God of Mischief owned incredible gifts that made him MCU’s dangerous villain ever. Killed off by Thanos’ hand, fans are expecting him to resurrect from the ashes of death once again in the Avengers: Endgame. Like his brother Thor, Loki born with divine abilities and powers. His combatant skill is so high that it could surpass any of the Asgardians. Despite lacking in strength as compared to his brother Thor, he had immense speed ability which helped him to catch Hawkeye’s arrow without even seeing. Furthermore, Loki had magic powers which he inherited from his adoptive mother, Frigga. Because of this, he eventually became a formidable and skilled sorcerer. Having such multiple abilities from both the races, Loki could have been strongest MCU character if he only stays with the right side. 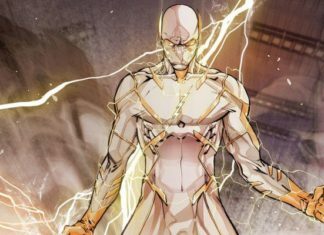 READ MORE: Top 10 Marvel’s Fastest Speedsters, Ranked! MCU version of Doctor Strange is way different and lacks in mystical powers as compared to his comic counterpart. As we know Stephen has yet to master all the Sorcerer skills set, still he was the ultimate player in the Infinity War. Who would expect one day such an arrogant doctor became a valuable player and saved Tony Stark’s life instead of protecting the whole universe? Being known as Sorcerer Master, guardian of the New York Sanctum still lacks in experience in a high level of mastery over magic. However, by the time Thanos enters Avengers’ life, Doctor Strange seems to be mastered in magical skills. In the movie, the doctor used mystic arts more effectively against Thanos and fought much better than the Guardians. Using mystic powers, he can fly, teleport can access astral projection, can create multiple shadow clones. When he had possession of Time Stone, Doctor Strange was the formidable superhero who forcefully defeats Dormammu in his own game, but it was a matter of time, the Mad Titan took the infinity stone away. Hence Strange lost his time manipulation ability. Thanks to Ancient One who taught him martial arts too. Hence Doctor Strange also can go for hand to hand combat. Thus, by summing up all the skills and magic powers, the Sorcerer Supreme is the strongest and most powerful MCU superhero seen yet. 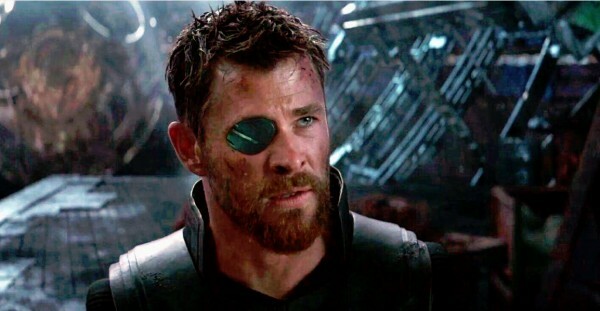 This man broke him limits and fought well with the Thanos till he bleeds. He went toe to toe against Mad Titan singly handed even his latest Nanotech armor was on the verge of extinction. 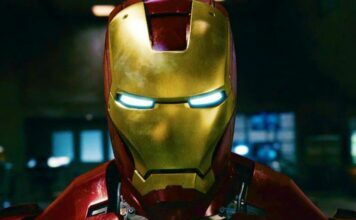 Being called as Earth’s Greatest Defender, over a decade, Tony Stark created countless strongest Iron Man suits. What makes him a genuine superhero is his vision to make the world a better place. He relies only on intelligence and available resources. 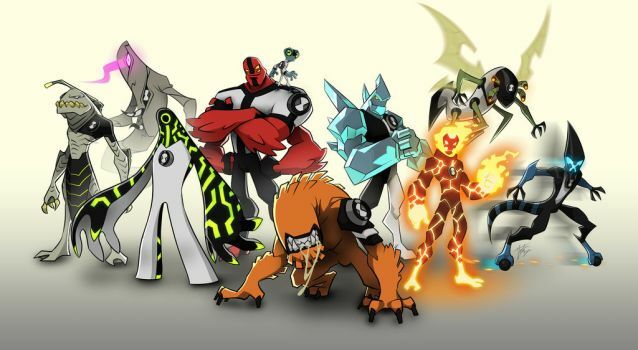 Tony used his intelligent as a weapon and create a living artificial weapon which could help people from the threats. 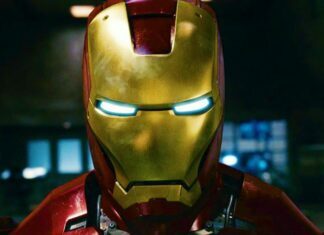 Tony Stark as Iron Man can fly, shoot energy blast from his repulsor, carrying tons of explosives as a defensive power. 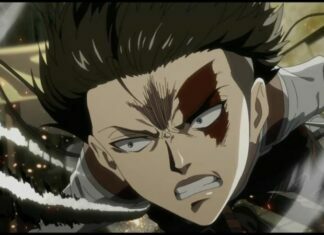 As a human, he cannot act like superhuman being, but he added all the essential elements into Iron armor including sharp reflexes, hand-to-hand martial combat, Advanced Combat Analysis. All of these activities running under Tony’s built-in artificial intelligence. It can also analyze opponents pattern of battle and create instantly counter moves. Iron Man is the MVP of the MCU. Tony knows what exactly needs to be done to get things right. Whether enemy will strike again or not, he is always ready with his suits and advanced weaponry gadgets. 2018 is not the right time for the Hulk to come out. Bruce Banner successfully called Hulk at the start of Infinity War to stop Thanos. But it can’t help as Thanos seems to be better at combat skill. 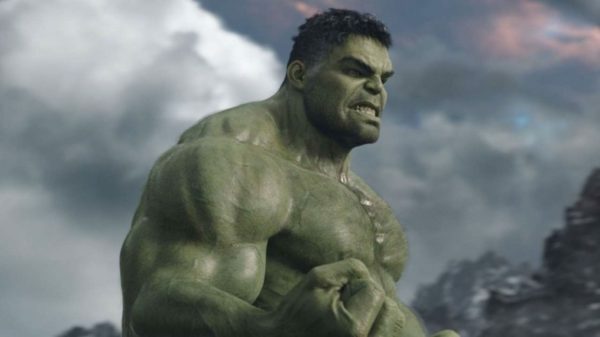 Hulk truly shines in the Thor: Ragnarok as it was his first film where we can notice Mr. Green significant changes to the character. At this point, we must be aware of Hulk’s magnificence powers and abilities. Hence I will not elaborate on his skills here. Owning full control over another persona, Bruce Banner becomes stronger as the time passes. According to Russo Brothers, those who didn’t get an opportunity to shows off on a screen will get a notable role in the next Avengers: Endgame. The Mighty Thor just showed his worthiness in the last Avengers: Infinity War when he defeats many Outriders simultaneously. Even his newly formed Stormbreaker exceed the full power of Infinity Stones. While his intense battle against her sister Hela, Thor unlocked his true hidden potential in which electricity flows over his whole body. Since then God of Thunder becomes MCU’s one of the best and strongest hero ever. As a true heir of Asgard and son of Odin, he granted supernatural godly powers. Trained for thousands of years, Thor is a complete package of skills set and superpowers. Odinson possesses an immense level of strength and stamina as he withstands the full pressure of the star’s power to create a new hammer, Stormbreaker. When Thor dramatically arrives in Wakanda to stop the rampage of Thanos, he unleashed devasting energy out of himself and nearly put an end to Mad Titan. But Thanos snapped his finger and did it anyways what he wants to do. In the end, Marvel fans forget about every superhero and aim their heads to praise only Thor’s heroic performance in the Infinity War. © EW/Marvel. All rights reserved. As half the universe became a victim of Thanos’ snap, Nick Fury sent disaster signal through pager to Captain Marvel. As Carol Danvers already warned Fury to inform her when its only emergency. As per promised, Carol unexpectedly arrives on Avengers mansion. 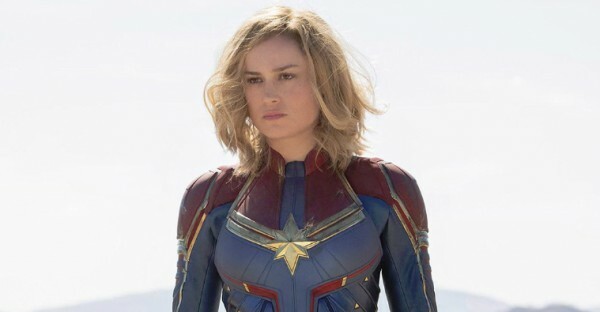 Captain Marvel’s role in the Avengers Endgame kept under wrap. However, it will not be too hard to guess what she could do with her considerable powers. 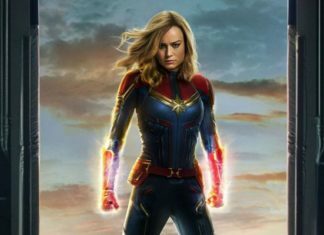 In the latest released Captain Marvel movie, after awakening her true self, Carol glows herself with photonic energy which is capable of destroying the whole spaceship. Heroine’s iconic power is only Photonic Blasts as well as flight; Despite this, her skills grants her superhuman strength which can outclass the likes of Thor, Hulk, etc. 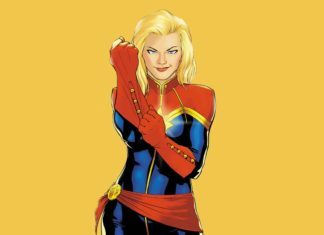 According to directors, MCU Captain Marvel could also move planets as she is the strongest and most dominant Avenger yet to see. She is firm. Her comic counterpart was incredibly powerful too. Like the movie, she can also travel three times faster than the speed of sound or even faster than the speed of light. So these are the strongest MCU Superheroes that we have got. Share your opinion down below the comment box and let us know what do you think. MCU brings lots of comic-based strongest superheroes and villains. 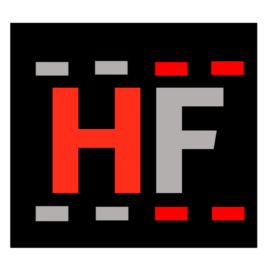 Out of them, in this article, Hero's Facts ranked top 25 best and most powerful superhero which you must know. I love Thor, but I think he is stronger than Captain Marvel. Even without a weapon he could take her down.